What do you do when someone wont leave your house? Do you drop subtle hints that you need to get some sleep, only to have them fall on deaf ears? How about standing up and walking toward the door, only for them to ask you for a refill on their beer? You even go so far as to remind them that their wife might be worried about them, and they respond with "Eh, let her worry." We might just have something to help you in your efforts to get rid of guests who have over stayed their welcome. 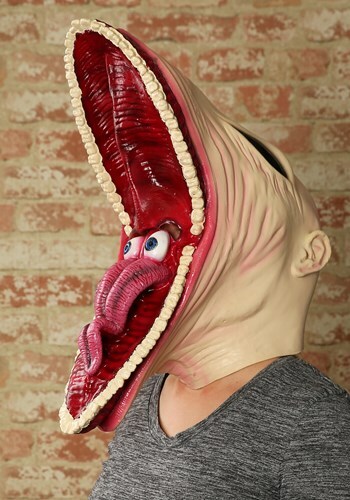 Just excuse yourself from their annoying conversation about their almost promotion at work, and slip on this Adult Barbara Mask, then go running back into the living room. Holler, screech, scream like a banshee. Do whatever it takes to make them exit your house. Because, you might literally die of boredom if you have to listen to one more story about how their boss is a jerk.